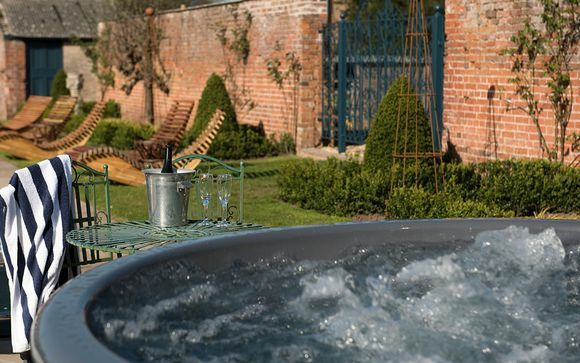 Hailed by the likes of The Independent, The Guardian and The Telegraph, the Brooks Country House 4* in Herefordshire is defined by affordable luxury and British countryside bliss. Make the most of this incredible property and all it offers, from a vineyard to a heated outdoor pool and an excellent lounge. Enjoy a choice of fabulous rooms and enjoy a variety of delicious dining options depending on the length of your stay! 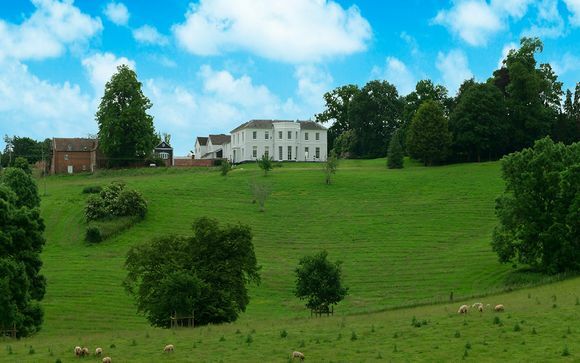 The Brooks Country House 4* is a beautiful 22 bedroom Georgian manor house situated between Hereford and Ross on Wye. Set amongst endless acres in the Wye Valley – noted as an area of Outstanding Natural Beauty – the manor gazes out to a vast landscape of former parkland, today owned by the National Trust. Nestled in a charming corner of rural Herefordshire, this the British countryside epitomised: swans on a lake, pheasant and ducks, lambs on rolling hills, mature trees and picture-perfect views at every turn. The pleasant towns of Hereford and Ross on Wye are just a stone’s throw away. Re-defining affordable luxury, the Brooks Country House 4* is a grand, wonderfully renovated Georgian manor house set within a noted Area of Outstanding Natural Beauty. Encircled by a quaint courtyard, the mansion exudes country house glamour fused with contemporary luxe. Its very own vineyard, life-size giant chess board and a heated outdoor swimming pool are some of its many charms, along with the excellent food and drink offered at the restaurant. 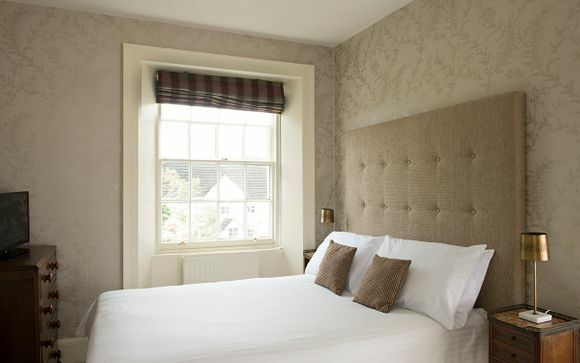 Each Double/Twin Room is designed with opulent Cole & Son wallpaper, chandeliers, curtains, antique furniture and a hospitality tray of goodies. The bathrooms are wonderfully spacious and some come with roll top baths whilst others come with Hansgrohe power showers. Expect pocket sprung mattresses, goose down pillows, and duvets to ensure you get a dreamy night’s sleep. 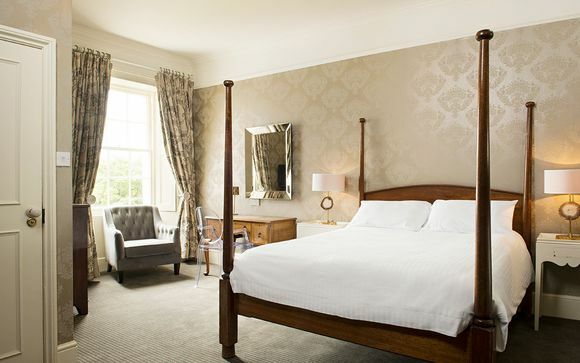 Each Four Poster Room within the Brooks Country House 4* contain the same fine amenities as seen throughout. These charming rooms, however, come complete with lavish four-poster beds, adding an extra side of luxury and romance to your countryside break! Depending on the length of their stay, our members will enjoy one of the following dining packages. 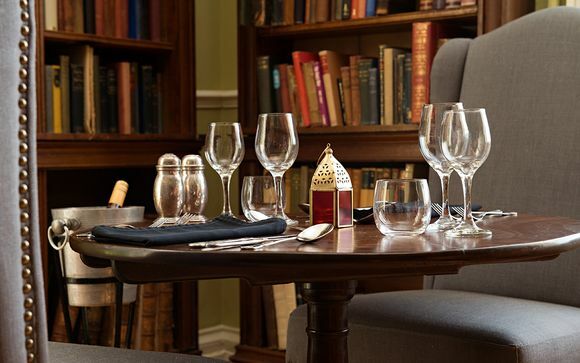 The restaurant at the Brooks Country House 4* serves up classic brasserie fare cooked with local ingredients, such as Moules Marinere and Hereford Steak Frites, plus a traditional Sunday lunch with local Hereford Beef. Seasonal ingredients are locally and ethically sourced from artisan suppliers and producers. 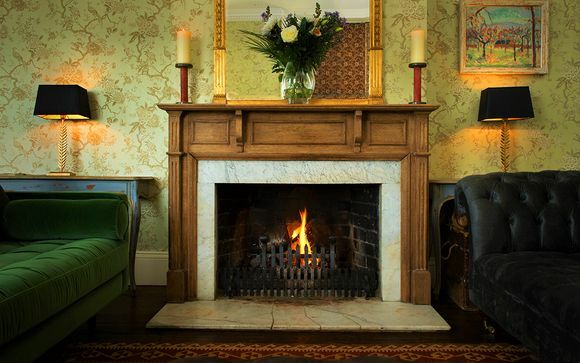 There is a charming guest lounge with cosy sofas and a big fireplace to curl up to - the ideal place to read a book or indulge in afternoon tea. The bar is well stocked with wine, spirits, beers and locally sourced cider including the manor's own house wine, which is grown in the on-site ‘Pengethley Estate’ vineyard. Guests of the Brooks Country House will be spoiled for choice. Make some time for leisure in the manor's very own games room - offering table tennis, football and darts for hours of fun. There is a heated outdoor pool, the perfect solution to summery English afternoons in the sunshine, and a life-size outdoor chess board! The vineyard is also a lovely place for aimless ambling - the growing vines of grapes are sure to pique your interest! The address of your property: Pengethley Manor, Peterstow, Ross-on-Wye HR9 6LL. Distance from Hereford Train Station to the Brooks Country House 4*: 18.5 km / 32 minutes.